This was my first ever Dave Eggers read and I regret it being the first that dove into. My partner loved A Heartbreaking Work of Staggering Genius, which is the memoir and debut of Eggers, and I’m not sure why I didn’t choose to read that book first. While I’ve heard great things about the writing style of Eggers, likely stemming from reflections on his memoir, I wasn’t impressed with The Circle. I’ve read quite a few futuristic novels that take place in technology over saturated worlds and I was beginning to think I was simply burned out on reading more renditions of the same story (spoiler alert: I was proved wrong when I recently read and LOVED Ready Player One by Ernest Cline; review coming soon!). 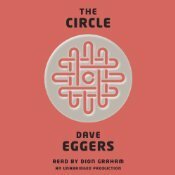 The Circle‘s spin features a technology and digital company that is very similar to a blend of Google and Apple, which allows the reader to envision that the world Eggers has created could actually exist if some things about our current world changed. The reader is introduced to the world through Mae, a young college graduate, who joins The Circle thanks to being recommended for a job by her college best friend. The Circle, as a company and not as the title of the book, is comprised of a leading search engine, a social media platform, and a leading technology innovation team. During Mae’s time at The Circle, she can be a bit boring boring at times, even as her actions advance herself through the company’s ranks. Mae’s boringness is perhaps intentional so that she can be easily molded and manipulated by other characters in the book to advance the plot, but ultimately left me feeling put off and like Mae was a cog in the machine without any agency. Mae’s trust of The Circle is balanced by her parents and her ex-boyfriend who are very critical of how The Circle is completely overtaking the society that they live in; they seem to represent the views that Eggers himself perhaps holds about society’s relationship with technology. Because of this, the whole novel felt like a condemnation of our reliance on technology. The easy condemnation seemed lazy and more like a writing exercise than a full fledged novel. That said, I’m looking forward to reading some of his nonfiction in the future. While I was listening to the audiobook of this novel, it was announced that Emma Watson would be starring in the movie version of the book. I can’t really envision how this will be adapted to the big screen, but I look forward to mindlessly watching it on an airplane sometime in the future. Have you read any Dave Eggers works? Do you think his nonfiction pieces are superior to his fictional novels? Let me know in the comments! Publication Date: 8 October 2013 by McSweeney’s and Knopf. 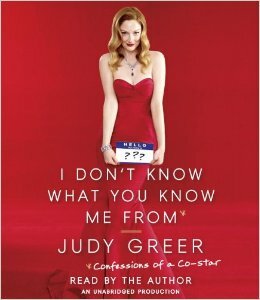 Format: Digital Audiobook from Random House Audio. This entry was posted in audiobook, fiction, Review and tagged audiobook, audiobook review, book review, dave eggers, dion graham, fiction, futuristic, knopf, knopf doubleday, knopf publishing, mcsweeney's, random house, random house audio, review, the circle on July 27, 2015 by Bri with a book blog. The author, Eddie Huang, narrates his own audiobook, which, at times, is a little frustrating. Most authors who read their own audiobooks and narrate it well are either comedians or Neil Gaiman, so I was little startled to hear Huang reading his own book… but it made a little bit more sense as I got to know him through his narration. I didn’t know much about Huang before I read his novel — I checked the audiobook out from my library a few weeks before Fresh Off the Boat (a television adaptation of his memoir) was set to air because I was curious about his style. 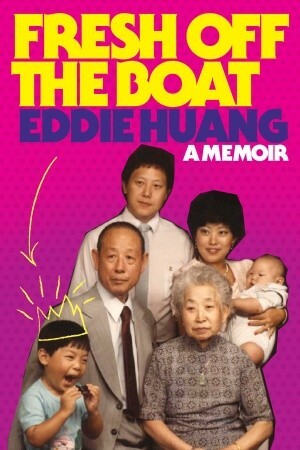 Fresh Off the Boat is Huang’s memoir, which begins by detailing his childhood as the oldest son born to a Taiwanese family that immigrated to America. Most vignettes into Huang’s life includes a comparison to food (either food that he currently creates or the flavors that he grew up tasting). The memoir details Huang’s incredibly interesting life and his many ventures from being a food vlogger, fashion designer (he designed some best-selling, iconic Obama street wear), to a restaurant owner. Huang has worn many hats and seems to excel while wearing each of them. It could be pretty inspiring to someone who feels like they’re stuck in a career rut that they can’t escape. Tonally, the memoir can be a little brash at times and the audiobook includes some additional tirades by Huang that weren’t included in the print version of the book. Because of this, I found Huang to be a bit grating at times. This makes sense because being direct and outspoken is part of Huang’s identity — he’s used to embracing his thoughts, even if his delivery makes people uncomfortable. He likes to unsettle the status quo and this can be a bit startling if you’re not expecting it. Overall, this book wasn’t for me — most of the 90s hip hop and basketball references went completely over my head and caused me to disconnect at points while listening. If you were into both of these things and also love to listen to a food lover talk about food, this will be the book of your dreams! Even though the book wasn’t for me, I can appreciate what it was adding to popular culture and think it’s important that it’s in the book world. As an aside, I recently went to Huang’s restaurant Baohaus and it was very delicious! I definitely recommend eating there. Huang talks at length about developing his restaurant and his fantastic flavors within Fresh Off the Boat. One of my friends even saw Huang there when he recently popped into the small restaurant! The restaurant is completely accessible and not one of those hoity-toity restaurants that you usually read about in chef’s memoirs: there are no reservations, seating is minimal and first come, first serve, and the turnaround for attaining your food is pretty speedy. Sorry that this also managed to turn into a restaurant review, in addition to being a book review. I would have also made it a TV review, but I have yet to watch all of the TV series yet. 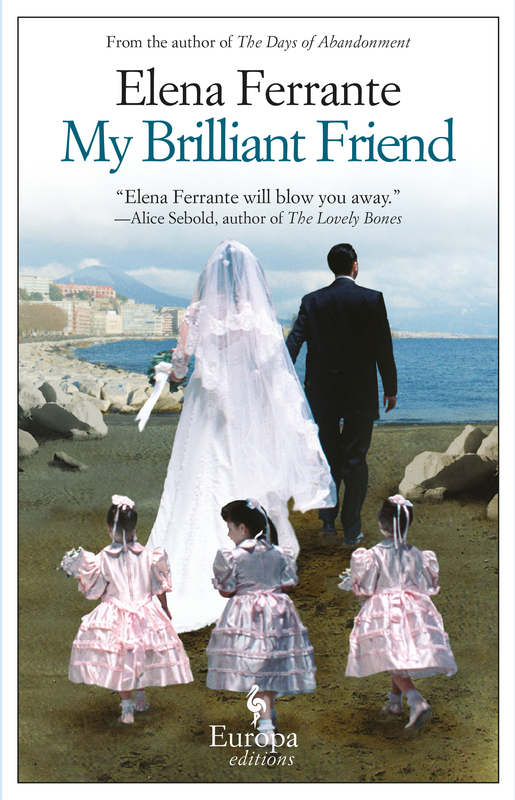 Publication Date: 29 January 2013 by Spiegel and Grau. Format: Digital Audiobook from Random House Audio. This entry was posted in audiobook, memoir, nonfiction, race, Review and tagged audiobook, audiobook review, book, book review, eddie huang, fresh off the boat, penguin random house, random house, random house audio, spiegel and grau, vice on June 18, 2015 by Bri with a book blog.